Entities seeking capital – LiquidAfrica has executed advisory mandates in excess of USD 600m in a variety of industries including telecommunications, oil & gas, banking, insurance, healthcare, and pharmaceuticals, agriculture, IT, construction, mining & resources, infrastructure and power. We provide advisory services to entities seeking to raise between USD 5m and USD 150m in debt or equity funding, for growth capital or project finance. Financial and Strategic Investors – In the Company’s 15 year history, LiquidAfrica has developed a strong network of private equity, development finance institutions, banks as well as portfolio investors with appetite for the African growth story, across various sectors. In parallel, LiquidAfrica has access to various African and International strategic investors, looking for targets and partners for their expansion across the continent. LiquidAfrica has a generalist sector positioning, with USD 600m worth of transactions successfully completed in the following industries. 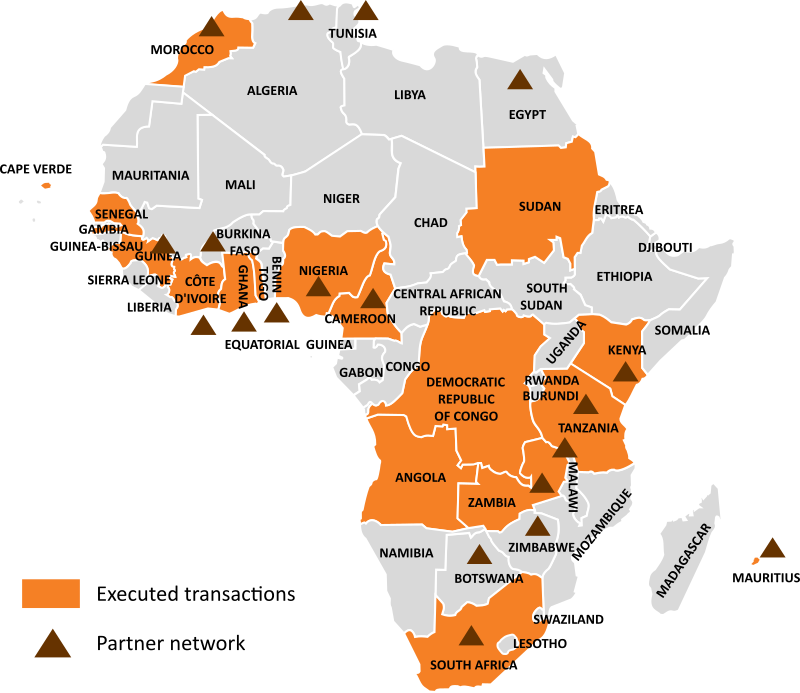 With distinctive ability to transact both in French and English, and a partner network covering 20 countries, LiquidAfrica has successfully completed transactions in the following locations.